Learn to make your own pack basket during this free two-day workshop with Linda Scherz Allen of Adirondack Basketry. These baskets are woven by hand using techniques that have been passed down through generations. 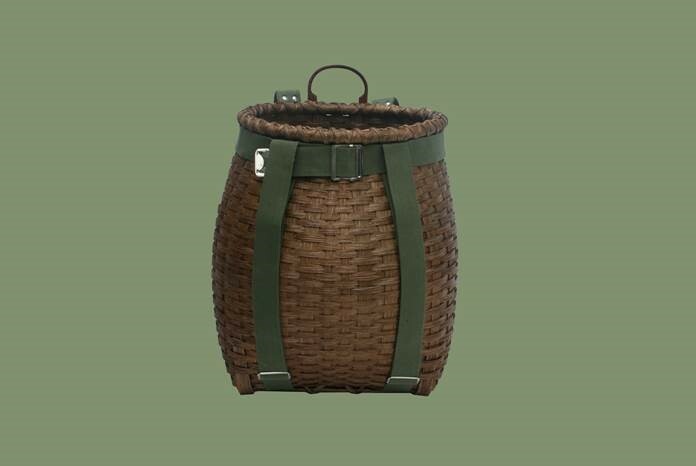 Wilderness guides, hunters and trappers used the Adirondack Pack Basket to carry just about everything they took with them into the woods. New Earth Resiliency Training Module (NERTM) and Freshkills Park present this workshop on pioneer traditions and ways to align with the earth and its cycles. On the first day, students weave a base with pre-cut spokes and then weave the sides. Linda will guide students as they concentrate on shape, creating a belly while learning to continuously weave. The main weaving will be done the first day. The baskets will sit and dry overnight. On the second day, students will pack baskets tight, level the top, weave a false rim, cut and tuck spokes, insert a hardwood handle, and complete the rim and skids. Lastly, an adjustable cotton harness will be applied for carrying. This workshop will be led by Linda Scherz Allen of Adirondack Basketry. Linda’s journey in basketry began in the late 1980s shortly after moving to the edge of the Adirondack Park in Northern New York. Linda uses the best materials available to purchase or harvest as she believes it is important to provide a high quality product. She takes pride in her work, taking extra steps to create a tightly woven, trimmed quality basket. Note: Students should wear comfortable clothing. Students will use a drawknife and other sharp tools. All materials and tools will be provided.